14 días de. Estamos para ayudarte. Disponibilidad: En existencia. TECNOLOGIA ALMACENAMIENTOHDD. ESTADOCOMO NUEVO. SISTEMA OPERATIVOWINDOWS 10. TARJETA GRAFICACOMPARTIDA. CAPACIDAD HDD32. 14 días de. Estamos para ayudarte. Disponibilidad: En existencia. CAPACIDAD SSD32. TECNOLOGIA ALMACENAMIENTOSSD. SISTEMA OPERATIVOWINDOWS 10. TARJETA GRAFICACOMPARTIDA. CAPACIDAD HDDNo. 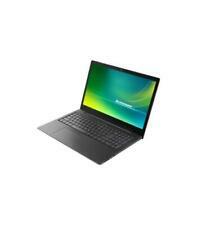 SMALL COMPACT LENOVO NETBOOK. PROCESSOR: AMD E. LENOVO LAPTOP. FRESH INSTALL OF WINDOWS 10 READY FOR NEW USER TO USE. DVDRW DRIVE INSTALLED. HDMI & VGA OUTPUT. X 3 USB PORTS. WIFI:BUILT IN. I'VE FACTORY RESET IT SO AS YOU CAN SEE FROM PICTURES AS SOON AS YOU TURN IT ON IT'S READY TO SET UP TO YOUR OWN PREFERENCES. I ALSO TOOK PICTURES OF SYSTEM INFORMATION BEFORE RESETTING DEVICE. Nos digasde forma gratuita. Lo valoramos y recogemos donde tú. Vende los productosque ya no utilices. 14 días de. Estamos para ayudarte. Disponibilidad: En existencia. DE TECLADO Y PANTALLA. CAPACIDAD SSD32. 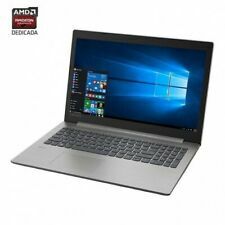 This laptop is highly secure with Trusted Platform Module, which works in conjunction with Windows 10 Pro Bitlocker to encrypt data and passwords. Complete your project. Be creative. Watch a movie. HDD 128GB SSD. Wow, what a deal! PRODUCT LINE ThinkPad. 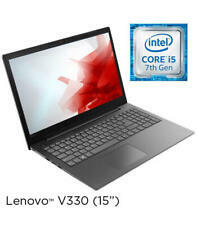 MANUFACTURER Lenovo. OS Windows 10, 64-bit, Professional. WARRANTY 12 Months. Rapid IT's highly trained staff each have their designated area of expertise, so should you need advice or assistance you know you'll be getting the best possible help. Lenovo L540. - Optisch in einem sehr guten Zustand. - Laptop Tasche. - Das Gehäuse weist leichte Gebrauchsspuren auf / Display kratzerfrei. Betriebssystem ---> Windows 7 Ultimate - 32Bit - installiert und aktiviert- NEU alle Treiber ! Der Grund dafür ist auch schnell gefunden. Einerseits nimmt die Tastatur bis auf einen kaum vorhandenen Randstreifen beinahe die gesamte Gehäusebreite ein, und andererseits verzichtet Lenovo auf ein Touchpad. Netbook ligero de 1.5 Kg. Alimentado por una rápida CPU Intel Core i7 a 1.8 Incluye USB 3.0 y Windows 10 Pro (20LH002AUK): trabajas duro. Eres flexible Cuando la vida dice: 'Ve', nunca te detienes. El elegante ThinkPad X380 Yoga está diseñado para ti. Esta elegante central eléctrica se adapta para trabajar con usted, como una computadora portátil, una tableta o cualquier otra cosa. Además, las características de seguridad a nivel de hardware te brindan tranquilidad cuando estás en movimiento. Los usuarios pueden iniciar sesión de manera rápida y segura con facilidad, solo con el toque del dedo o la vista de su rostro si optan por la cámara IR y usan Windows Hello. In stationären Einsatz lässt sich das Bildschirmsignal über einen VGA-Ausgang auf einen externen Monitor umleiten. 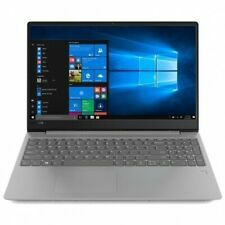 Das Lenovo IdeaPad S10-3 definiert das Netbook neu -so, wie es sein sollte. Es ist ausgestattet mit DirectShare, damit Sie Ihr Netbook mit einem anderen Notebook synchronisieren ko¨nnen, ohne ins Netz gehen zu müssen. 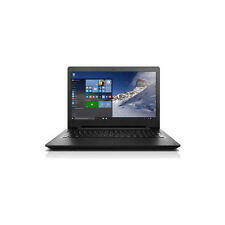 Laptop Lenovo Ideapad 110-15IBR (NEUWERTIG). Top Gerät- läuft stabil und hängt nicht. der Laptop funktioniert einwandfrei (zurückgesetzt). A SECONDA DELLE VOSTRE ESIGENZE ( MINIMO PRIMA DI 48 ORE DAL NOLEGGIO). 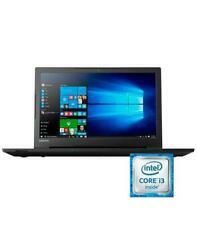 This Lenovo laptop is a compact, lightweight and functional laptop. 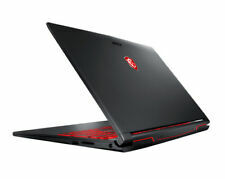 It has a slick red and black colour with all the features you need. Perfect for youngsters and elderly in particular. Popular amongst university and college students. LENOVO X220. MICOROPROCESSORE: Core i5 di seconda generazione (Sandy Bridge) - Core i5-2540M. HARD DISK: SATA 500 GB MAGNETICO 2.5". SISTEMA OPERATIVO: WINDOWS 10 PROFESSIONAL. DALLE 9:00 ALLE 13:00. 57122 Livorno (LI). Model YOGA BOOK X91L. Storage: 64GB. 4GB RAM, 64GB ROM. Note: The tablet is Chinese version. It doesn't have other Accessories. "This device may have been provided with custom firmware or root. English has been set up as main start up language which can be changed under Settings. Estaremos encantados de atenderte. El envío hasta la dirección que usted haya indicado se realizará en las siguientes 48 horas. JUEGOS, JUGUETES Y DISFRACES. VIGILANCIA Y SEGURIDAD. This item has been listed for parts as it has a smashed screen. The item would power up and also display to bios via the HDMI connection and external monitor (picture 2). there is 2 screws missing from the base panel. 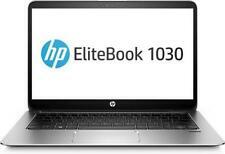 Tipo Netbook. Prodotto non nazionale No. Altavoces estéreo, micrófono. MPN Non applicabile. Lettore e/o Masterizzatore DVD /-RW Doppio Strato. Scheda grafica Integrata. Velocità del processore 1.60GHz. 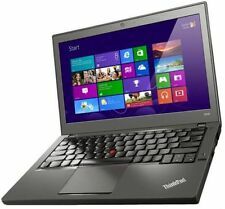 Lenovo 100s laptop. Condition is For parts or not working. Dispatched with eBay delivery – Shutl 1 day. Condition of this unit: All our units are used & may contain slight marks or scuffs on the casing, however this will not affect the function or use. IBM Thinkpad A31 2653-CG6. IL NOTEBOOK SI ACCENDE, ENTRA NEL BIOS E CARICA IL SISTEMA OPERATIVO. RESTITUZIONE NON ACCETTATA. L'oggetto è venduto " così com'è e con formula " visto e piaciuto " (AS/IS).